Are you someone who’s struggled with, or currently struggles with insomnia? Well, you’re not alone! There are many people who suffer with sleep issues, so don’t lose even more sleep over worrying about whether or not you’re ‘going crazy‘! 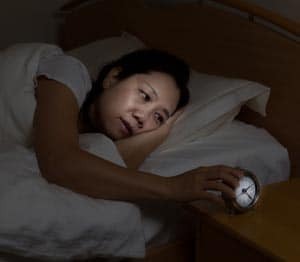 According to The American Academy of Sleep Medicine, 30-35% percent of Americans struggle with brief symptoms of insomnia, 15-20% of people have short term insomnia which lasts up to three months, and 10% of Americans have chronic insomnia, which affects them at least 3 times a week and this can last up to three months. So see! There are a lot of people not getting enough ‘Zzzzzz’s‘! When insomnia begins to affect both your physical and mental health, then perhaps it’s time to do something about it and start getting the help for the sleep you’re so desperately need. Insomnia is any condition that prevents an individual from falling or staying asleep. Insomnia includes continually waking up during the night and not being able to fall back to sleep or stay asleep for long periods of time. Insomnia can also be waking up too early every morning, whereby you’re not getting enough sleep (deep sleep) that makes you feel rested and refreshed. Both these conditions often time leads to feelings and experiences of perpetually ‘feeling tired‘. Interestingly, it may lead individuals to try naps throughout the day to try and catch up on their sleep. Ironically, when they try to nap, they can’t even fall asleep at that point, further adding to their frustrations for lack of sleep, and thus leading to even more fatigue. Those able to ‘fall asleep‘ while having these naps, feel worse off sometimes when they need to wake up to engage back in their daily activities as their brains, minds and bodies were craving more much needed sleep. So when it comes time to go to sleep in the evening, the cycle often repeats itself whereby they “can’t” fall asleep again. And the sleepless night of frustration starts all over again. I’ll talk more about “naps” later as there is a specific type of nap that can actually help. There are a variety of potential reasons people may have insomnia. 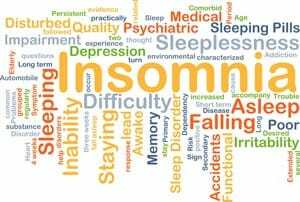 Most often times, psychologists, mental health care practitioners and physicians will attribute insomnia as being cause by emotional or mental stress. 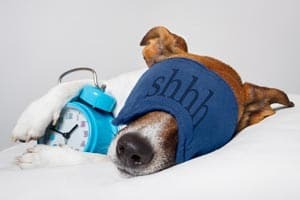 Sleep is a conditioned response, and should come easily and naturally when the mind quiets itself down for sleep (REM sleep) in order for the cells in the body to re-energize and rest. It’s also the time for the brain to collate and file away the events from the previous day. Sleep really is more important than most people think. With that said, significant ‘life stressors‘ occurring have the potential to really throw things off kilter. The most common stressors leading to insomnia are situations such as relationship breakups or divorces, a job change or job loss, the death or illness of a loved one, or even planning a move or relocation from where you currently live. Illness or physical injury can also cause sleepless nights that then create a conditioned pattern leading to insomnia. Incidences of having a cold or suffering from the flu can trigger restless and/or sleepless nights that set off dysfunctional sleeping patterns that seem to cause ongoing sleep challenges. Individuals who experience physical discomforts (back aches, arthritis, nerve flares, joint pain, sciatica, etc.) may also find it difficult to get comfortable in bed and fall asleep which leads to their experiences with insomnia. Interestingly, during allergy and hay fever seasons, more individuals (that is those with allergies or asthma) report having difficulties falling asleep, or having sleepless nights. For some, it’s when they take their allergy medication (some cause drowsiness) that they actually get a full night’s, or close to full night’s sleep. However, beware of using medications for particular ailments as sleep aids! It’s possible that medication or substances can be the culprit when it comes to not being able to fall asleep. Some medications used to treat cold, or even high blood pressure, can lead to restless and sleepless nights. 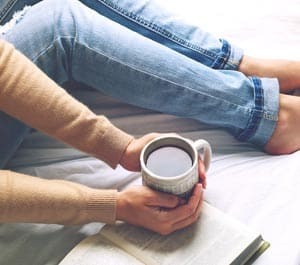 If you’re consuming caffeine in any form in the early or later evenings, this could potentially be the cause of your sleepless nights. 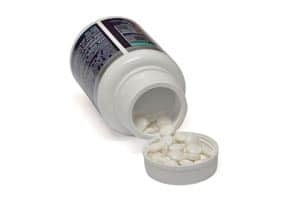 Furthermore, consuming certain weight loss supplements too close to bedtime could be the catalyst for not being able to fall asleep as they may cause one’s metabolism to speed up thus making you more alert. It’s also important to watch your eating habits and diet throughout the day and early evening. Eating certain foods can create restlessness or lead to insomnia. If you’re eating foods loaded with sugars (processed white sugar or even natural fruit sugars) they can cause you to feel ‘hyperactive‘ and prevent you from getting a good night’s sleep. Also eating junk foods such as chips, pastries or anything that has processed flours, starches or food coloring/additives can lead to restlessness. Even though some people claim consuming alcohol ‘helps take the edge off’ and leads them to feeling sleepy, it may help one fall asleep, but may not keep them asleep. Certain liquors and ‘spirits‘ get you relaxed and feeling tired, but may also have an adverse effect and cause you to wake throughout the night, leading to tossing and turning. It’s also a good idea to avoid spicy foods, which can cause you intense indigestion and stomach aches which in turn force you to stay awake most of the night in discomfort, and even force you to visit the bathroom which suggests to your body its time to get up. Another thing that can lead to insomnia is disrupted time changes, or sleep patterns. If you’re a shift worker whose work hours are continually changing from day shifts to midnight shifts weekly or monthly, this can become one of your greatest obstacles to getting restful sleep. The same is true for people who fly a lot around the world and change time zones (pilots, flight attendants, and even truckers driving across time zones) and develop jet lag. The body may be on the old time (wanting sleep when it is used to having it), however the mind springs into action realizing things have changed and it’s now time to convince the brain otherwise for flipping the switch to fall asleep. Interestingly, when Daylight Savings Time kicks in each year in the Fall, the time shift (going back one hour) can be the trigger of the onset of insomnia for some throughout the winter months as their bodies and minds are trying to get used to the change, and once they do get used to it, it gets disrupted again in the early spring when the clocks go ahead again. This ‘time change‘ can also cause the insomnia which perpetuates seasonal affective disorder (S.A.D.) and vice versa. WHEN YOU TURN SLEEPING INTO AN ISSUE! The longer you have insomnia, the more likely you’re going to dread going to sleep at night. While everyone else is sleeping (so you think), you’re struggling to do something that should be natural, and something you did without even having to think about it in the past. This leads to intense frustration, even feelings of despair, anxiety and depression. Let’s face it, night time is usually when the world is at rest, it’s dark, it’s quiet, and you’re most likely to feel ‘alone‘. While feeling ‘alone‘, your thoughts race, you over-analyze, and start to create irrational concerns and worries that perpetuate greater feelings of restlessness and anxiety that can lead to insomnia. It really becomes a vicious cycle. Thoughts become things, and if you think or worry about falling asleep, you’re most likely not going to fall asleep as law of attraction states if you keep telling yourself, “I can’t sleep!“, or “I have insomnia!“, guess what? The law of attraction will bring you more of what you are thinking about most because you’ve put into your unconscious mind that exact reality – INSOMNIA! For some, they develop the irrational feeling of ‘night time worry‘. They worry about going to sleep and not being able to sleep. They focus so much on not being able to fall asleep they can’t. While not being able to fall asleep, they start to focus on the negatives going on in their lives either real or imagined. Have you ever heard the concept of ‘paralysis by over analysis‘? What happens is one starts to distort perceptions of experiences or events in their lives and make them appear worse than they are. One’s mind races to the point of trying to problem solve while drifting off to sleep but they keep themselves awake as they’re literally in a ‘fight or flight response‘ state, thinking about the worst possible things that can happen to themselves or loved ones. This is more than enough to prevent them from falling asleep, let along allowing their minds to find a place of rest. Many people who suffer from insomnia will take ‘naps‘ in the afternoon to try and compensate for their lack of sleep hours. Naps can be good for resting if they’re short 20-minute naps and not several hours of sleeping. Sleeping too long during naps may cause a disruption to normal sleep onset when it’s time for night sleep as you’ll feel too well rested and alert. This can create a whole new round of reasons insomnia occurs. Some individuals will seek the help of medical professionals and get tranquilizers, or they purchase over the counter pharmaceutical medications and sleep aids. Although they may work in inducing sleep, many people report ‘feeling hung over‘ the next day, not feeling truly rested, or they become dependent or even addicted to these sleep inducing ‘drugs‘. There are alternative sleep aids that can be used which are more of a naturopathic and/or herbal nature. Some people report using valerian root, melatonin, rhodiola, L-Theanine, GABA, kava root, L-tryptophan, passion flower, chamomile, and other naturopathic treatments and getting results. Many of these natural supplements aid in reducing stress and quieting the mind. 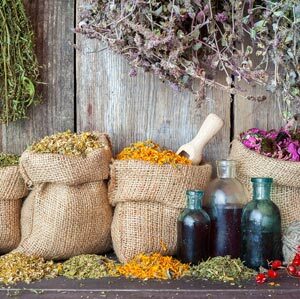 If this is a path you’re considering it’s best to speak with a naturopathic practitioner or herbologist to see what treatment will best meet your individual needs. I’ve talked about naps during the day a few times and somewhat barrage them due to the impact they have on normal night time sleep patterns, but there is one type if executed effectively can help but not replace a solution for a sleep disorder. A Power Nap is a condition you go into for 10-20 minutes only. It can be sleep if you’ve the ability to wake up without missing a few hours of the day. My version is not necessarily sleep but a deep relaxation to a point where you’re in the stage between relaxation and sleep – a pleasant and re energizing state. Many famous people over the years have leveraged the ability to snooze if you will to relax and help solve problems – Einstein and Edison were prime examples of those who used naps to create a state for problem solving. Now I’m not suggesting you’ll use power naps to achieve the same effect but the principle is the same to provide a way of refreshing your day quickly and being ready for a rejuvenated second phase. Hypnosis can be a treatment for sleep disorders and insomnia. Hypnosis will help get to the ‘root‘ cause of why you’re not sleeping, or have insomnia. If its anxiety or being so ‘stressed out‘ that’s at the core of the problem, then hypnosis may be your best bet, as well as supplementing with some natural relaxation aids. If you decide to opt for hypnosis, you’d be best served from choosing one of the two options below for implementing treatment for your anxiety/stress which is causing your insomnia. First option is to seek out a reputable, trained hypnotherapist who can not only help treat your anxiety through individual sessions, but also train you in the skills of self-hypnosis to help treat anxiety/stress and worries on your own. This is one of the most effective approaches in treating insomnia caused by stress and anxiety. 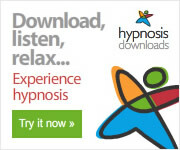 A second option would entail using excellent meditative and educational CDs and DVDs or MP3 downloads which will demonstrate self-hypnosis techniques and relaxation methods. The key is to try different approaches until you find one that works best for you. It’s best to only use your bed for sleeping versus ‘hanging out in your bedroom‘, or watching TV all of the time on it. Remember, sleeping is a conditioned response in that the bed should equate with sleeping and not TV, video game or computer entertainment centers. And getting your room as dark as possible is recommended as it tells both the conscious and unconscious minds it’s time to rest. A good hypnotherapist can implant post hypnotic cues/suggestions for this to also help you sleep, using your own bed and darkness as the stimulus for a restful night’s deep sleep! Restful and long sleep is important to both our physical and mental well-being. Insomnia and other sleep issues should be treated as an illness and addressed. You should seek advice for sure but not run headlong into medication without exploring alternative options. Your body is self-healing and given the chance it’ll return you to natural sleeping patterns if you address the underlying cause of your insomnia. It depends on what the argument is about Betsy. But I’ll reach out to you directly to discuss. Erika.